Montrose and other areas of the inner loop of Houston are going nuts. 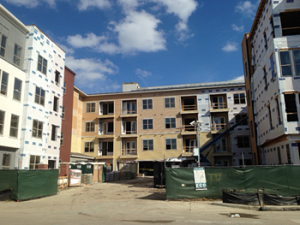 It seems everywhere you look a new apartment or mixed use building is popping up. So if rents are going up due to lack of supply, then surly all the new properties coming online will drive down rents? Not really. Most being built are higher end “Class A” properties. Additionally, many of the properties are being built on top of where older more affordable properties (like the ones we own and manage) used to be.